It isn't often that I share non-tiny house related things here at Life in 120 Square Feet. That being said, there is more to living in a tiny house than thinking about living in a tiny house every day. Life is life, regardless of the size of your home. Over the last 6 months I was working on a pretty big project: my second book. While the first is a simple book about our tiny home experience, the second is about another passion of mine. 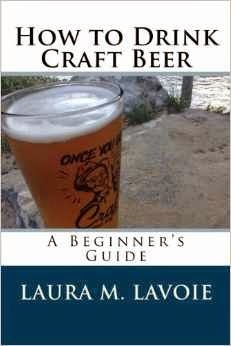 I am proud to announce that my book, How to Drink Craft Beer: A Beginner's Guide, is now available on amazon in both paperback and kindle editions! I know there are a few other tiny house enthusiasts who also enjoy craft beer so I hope some of you might be interested. And this ends the PSA about my book. We'll be back next week with semi-regularly scheduled tiny house related posts.